Technology and tricks are on its peek value. People love playing with new tricks and learning new methods. Using internet you learn a lot of tricks and what you see on internet you start believing on it which is your big mistake! Be aware from it. Don’t believe on everything which you see on internet because what is see is not exactly the same as it is. Software making industry providing us daily new software with different features in it. If you saw a video which is so much weird from daily life and it is impossible don’t believe on it because there are a lot of video and photo editing software which change the how look of the video or if it is your photo someone can edit it professionally and totally change it and you can’t see the difference from real to fake. In this post we are going to teach you how you can make a fake screen shot. What is fake screen shot? Actually screen shot is a picture of your computer of mobile screen which you capture by using different software and save it for yourself as information or save it to show some one .this is a simple picture of your laptop or mobile. Fake screen shot mean you change the screen shot by doing some editing with different software like Photoshop or paint. And you can change its content add more things and text on it. You can also play some pranks with your friends by sending fake screen shot to friends. For example my friend send me I love you message on Facebook and my other friend capture this screen and change it with the classmate friend name and picture. How to make fake screen shot? 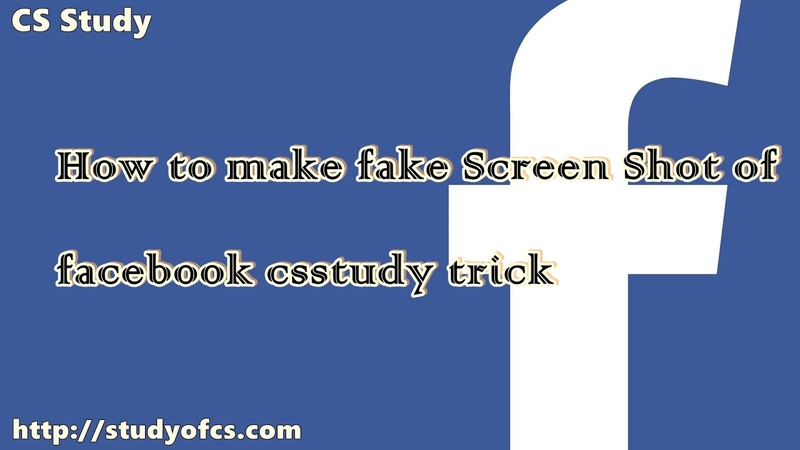 Fake screen shot is very simple you can make fake screen shot on Facebook and change it online. I’m going to change my friends chat messages of Facebook to make troll and fun of it. First I go to his change box see full conversation. The message you want to change highlight it by selecting it. Right click and click on inspect and find his code by clicking on Element and edit its html. Here you will his message. Change it what you want and hit enter. You will see his chat message changed. Now press PRTSc button on your screen open Paint and press CTRL+V button and save this screen shot.